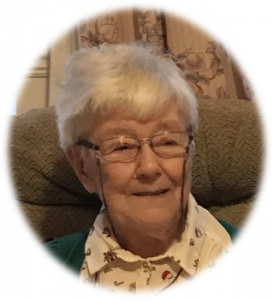 Steele Kathleen 7th April 2019, in her 92nd year, late of Craig’s, Cullybackey. Dearly beloved daughter of the late Edward and Matilda, loving sister of the late Jean and devoted aunt of Sam. Funeral service will be held in Craig’s Parish Church (Cullybackey) on Wednesday 10th inst. at 11.30am. Interment afterwards at adjoining churchyard. House strictly private. 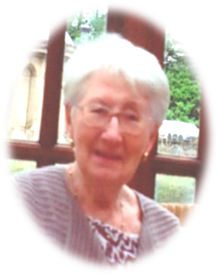 Lovingly remembered by her nephew Sam and family circle. Lamont Stafford 5th April 2019, suddenly at Antrim Area Hospital, formerly of Camphill Care Home, Ballymena. Dearly beloved husband of the late Lilley and loving brother of Jim. Funeral service in Ballyloughan Presbyterian Church on Tuesday 9th inst. at 1.30pm. Interment afterwards Ballymena Cemetery. Family flowers only please, donations in lieu, if desired, may be sent to James Henry Funeral Services, 100 Broughshane Street, Ballymena BT43 6EE for Alzheimer’s Society. Dearly missed by his brother, nieces, nephews and family circle. Telford Margaret Elliott 5th April 2019, peacefully at Antrim Area Hospital, late of 7 Foxhill, Ballymena. Dearly beloved daughter of the late Hugh and Catherine, loving sister of James, Marie and Jean, sister-in-law of Jean and Norman and a dear aunt to her nephews and nieces. Funeral service in St Patrick’s Parish Church (Castle Street) on Monday 8th inst. at 12 noon. Interment afterwards at Ballymena Cemetery. No flowers please, if desired, donations in lieu, may be sent to James Henry Funeral Services, 100 Broughshane Street, Ballymena BT43 6EE for Parkinson’s Research or St Patrick’s Parish Church building fund. Lovingly remembered by her sorrowing brother, sisters and family circle. O’Neill Hugh (Hubert) 3rd April 2019, peacefully at hospital, late of 30 Deerfin Fold, formerly of Casement Street, Ballymena. Dearly beloved husband of Barbara, loving father of Linda and Tony, father-in-law of Fin (Wray) and Linda, devoted grandfather of Andrew and Nicole. Funeral service in Harryville Presbyterian Church on Sunday 7th inst. 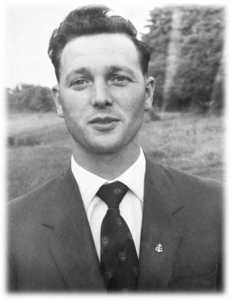 at 2pm interment afterwards at Ballymena Cemetery (Cushendall Road). Flowers welcome, if preferred, donations in lieu, may be made payable to James Henry Funeral Services, 100 Broughshane Street, Ballymena BT43 6EE for Ward C7 Antrim Area Hospital or Open Doors. Cooke James O’Brien (Brien) 2nd April 2019 (peacefully) at Antrim Area Hospital, late of Orkney Drive, Ballymena. Beloved partner of the late Ella and dear brother of Thomas, Iris, George, Trevor, Donna and the late Derek and Geoff. Funeral service in Henry’s Funeral Parlour, 100 Broughshane Street, Ballymena BT43 6EE on Friday 5th inst. at 12noon interment afterwards Ballee cemetery. Family flowers only please, donations in lieu if desired may be sent to James Henry (address above) for Macmillan Unit at Antrim Area Hospital. Lovingly remembered by his brothers sisters and family circle.